"Sampath Speaking" - the thoughts of an Insurer from Thiruvallikkeni: Mumbai under siege ~ a decade ago !! - scars remain !!! Mumbai under siege ~ a decade ago !! - scars remain !!! The frontpage of newspapers are not exactly screaming today .. .. .. a visitor to Mumbai, may get down at Chhatrapati Shivaji Terminus railway station, have a sip at Cafe Leopold, look on the way at Cama and Albless Hospital, pass through big buildings and wonder whether an ordinary man can ever walk into Oberoi-Trident Hotel or the much inspiring Taj Mahal Palace and Tower Hotel on the sea-front ! From every angle, the Taj Palace near the Gate way of India, the imposing arch monument on the Arabic sea erected to commemorate the landing of King George V and Queen Mary at Apollo Bunder on their visit to India in 1911, prior to Delhi Durbar. The hotel preceded it – the Queen could have seen the hotel, but not the monument. The historic Taj Mahal Palace hotel first opened its doors to guests 113 years ago, on December 16, 1903. Located in Colaba, Mumbai, the Taj Mahal hotel, or the Taj Palace hotel, was the country's first ever harbour landmark. Over the last century or so, the hotel has played host to royalty, several dignitaries, and eminent personalities from all over the world. A popular theory states that Jamshedji Tata built the hotel because he was refused entry at Watson Hotel, one of the grandest hotels of that time, which was for 'whites only. It was the first Indian hotel that had electricity, American fans, Turkish baths, German elevators, and English butlers. Later, it became the first ever hotel in the city that had a licensed bar and India's first discotheque, called Blow Up. It was also the first Indian hotel to have an air-conditioned ballroom and an all-day dining restaurant. In 1903, when it first opened to guests, a room with fans and attached bathrooms would cost ₹13. Operation Flood, launched in 1970, was a project of India's National Dairy Development Board (NDDB), which was the world's biggest dairy development program. It transformed India from a milk-deficient nation into the world's largest milk producer, surpassing the USA in 1998. All this was achieved not merely by mass production, but by production by the masses; the process has been called the white revolution. The Anand pattern experiment at Amul, a single, cooperative dairy, was the engine behind the success of the program. In the beautiful motherland, there have been debates on surgical strikes with politicians calling for proof !! - Nation can never forget this day 26/11 when it was under siege by militants from across the border. How many felt sorrowed and spoke for those martyrs of Police and jawans of the motherland ?? It was the carnage of innocents – the 2008 Mumbai attacks [simply 26/11 – Indian hour of shame] were 11 coordinated shooting and bombing attacks across Mumbai, by terrorists who came from Pakistan. Ajmal Kasab who was captured alive, later claimed upon interrogation that the attacks were conducted with the support of Pakistan's ISI. The attacks, which drew widespread global condemnation, began on Wednesday, 26 November and lasted until Saturday, 29 November 2008, killing 164 people and wounding at least 308. The heroic efforts of Police, Military and NSG ensured that things were brought under control. 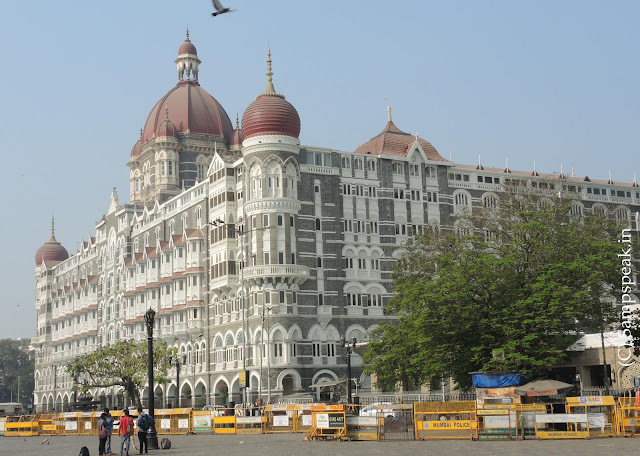 On 29 November, India's National Security Guards (NSG) conducted Operation Black Tornado to flush out the remaining attackers; it resulted in the death of the last remaining attackers at the Taj hotel and ending all fighting in the attacks. Four years later, on 21st Nov 2012, - Ajmal Kasab, the living face of Mumbai terror was hanged. In this great Nation of ours, even the killer was given a fair trial – the entire legal process unfolded with Kasab being served food and he asking for Urudu papers and more. India took the trouble to conduct and ensure, that it believed in a proper justice system and would deal with attacks against its people according to the law. There were so many victims whose pathetic cases were buried deep – and that was not restricted to humans. In Dec 2014, Sheru, a stray dog who took terrorists' bullets at CST during the 2611 attack died of a cardiac arrest after surviving a few years. Today, we recall those horrific memories and more particularly pay homage to our heroes who saved the Nation giving their lives protecting us. Now to connect those places in 1st para ~ they are not simply places, but places where innocents were butchered by the mindless Pakis. At Chhatrapati Shivaji Terminus railway station – 58 people were killed; and leaving the station, the butchers fired at crowds killing 10 more; at Cafe Leopold – 10 killed, they did not leave hospitals too – at Cama and Albless Hospital a group of 6 Police officials were killed, at Nariman House, 7; at Oberoi-Trident Hotel, around 30 and at Iconic Taj, it was siege for 4 days when 31 people were killed. After 26/11 – the butcher massacerer Ajmal Kasab was executed in Nov 2012, in Jan 2013, the planner Headley was sentenced to 35 years in prison. In Mar 2015, the Islamabad High Court in Pakistan ordered the release of Lakhvi, calling his detention illegal. In 2017, Hafiz Mohammed Saeed, the leader of a group associated with Lashkar-e-Tayyiba, was placed under house arrest in Pakistan for his suspected role in the Mumbai attacks. However, Authorities in Pakistan say that Saeed has been freed from house arrest. The United States, which labels Saeed as the leader of Lashkar-e-Tayyiba, said it was "deeply concerned" about his release. On behalf of the Government of the United States of America and all Americans, I express my solidarity with the people of India and the city of Mumbai on the 10th anniversary of the Mumbai terrorist attack. We stand with the families and friends of the victims, whose loved ones were lost in this act of barbarism, including six American citizens. The barbarity of 26/11 shocked the entire world. It is an affront to the families of the victims that, after ten years, those who planned the Mumbai attack have still not been convicted for their involvement. We call upon all countries, particularly Pakistan, to uphold their UN Security Council obligations to implement sanctions against the terrorists responsible for this atrocity, including Lashkar-e-Tayyiba and its affiliates. The United States is committed to seeing that those responsible for this attack face justice. The Department of State Rewards for Justice (RFJ) Program is offering a new reward for up to $5 million for information leading to the arrest or conviction of any individual who was involved in planning or facilitating the 2008 Mumbai attack. ~ and inside our Nation, we still have people supporting every killer, every anti-National, every Urban Naxal, and speaking against our armed forces and Nation. Fie upon them .. ..
National Milk Day on January 11 commemorates the day that many think the first milk deliveries in glass bottles began in the United States. Alexander Campbell of the New York Dairy Company professed to the New York State Senate that his company was the first to make these deliveries in 1878. Back home in India, today is National Milk Day, the birthday of Verghese Kurien, who spearheaded ‘Operation Flood’ the key instrumentality for transforming milk-starved India into the world’s largest producer, albeit with a fraction of the productivity achieved in advanced countries, through protection from imports, assured prices for farmers, improvement of livestock via artificial insemination, and a combination of decentralised processing with centralised marketing.